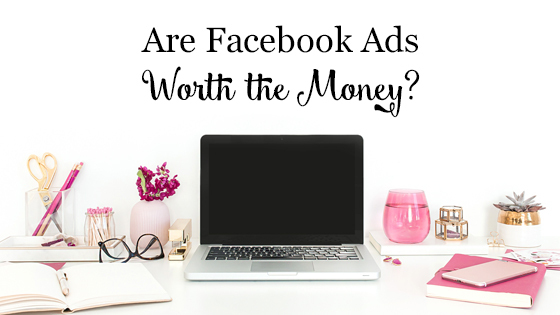 Is it worth the cost to run Facebook Ads for your business? As a Facebook Ads Manager, you may expect me to say yes. Buuuut, I’m not going to say that. Instead, I’m gonna say… maybe. When I ask people who are running Facebook Ads if they are happy with their results, the vast majority say no. There are tons of folks who feels they have just given away money to Zuckerberg. 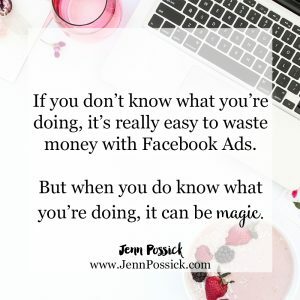 Because if you don’t know what you’re doing, it’s really easy to waste money with Facebook Ads. But when you do know what you’re doing, it can be magic. When you do know what you’re doing, Facebook Ads are totally worth it and highly profitable. And I would argue that Facebook ads are the best way to advertise your business. 1. Eventually your warm audience runs out. No matter who you are, how extroverted and outgoing you are, eventually you run out of your warm audience. Of course, you can always meet new people, but to me the fastest, easiest way to do that is going to be through an ad. 2. Facebook has amazing ad targeting. You can literally target millions of different ways to only advertise to your ideal audience. 3. You can spend as much or as little as you like. You can spend $5 a day or you can spend hundreds or thousands of dollars a day. Let’s say you’re spending $10 a day on Facebook ads. That equates to $300 a month. Compare that to running print ads. You spend a few thousand upfront for a print ad, wait until the ad is actually printed, and then have to wait until the run is over before you know if you’re getting a return on your investment. With Facebook ads, you know if they are effective within days and if they aren’t working, you can stop the ad at any time. 4. Customers and clients reach out to you. The majority of our customers first see us through an ad on Facebook, and then they reach out to us, so there’s no cold calling and having to really sell yourself. Your ads and your connecting funnel do that for you. This is golden to an introvert like me. 5. Your ideal audience is on Facebook. Facebook has 1.9 billion users with 1.2 billion people on it every single day. Know that you want to run ads but don’t want to waste money? 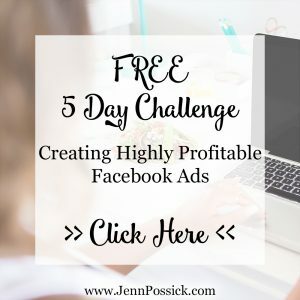 A FREE 5-day Challenge – Creating Highly Profitable Facebook Ads starting February 19th! Follow this link, enter your info, and voìla! 5 days of unlimited Facebook Ad knowledge, advice, and more!